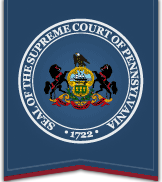 The PAePay option allows the public to securely pay fines, costs, and restitution to the Commonwealth of Pennsylvania’s Common Pleas and Magisterial District courts. This site displays only court financial obligations approved for online payment. The maximum payment amount that can be applied to fines, costs and restitution is $1,000 per transaction. The PAePay Bail option provides an alternative means of paying bail on Magisterial District Court and Common Pleas Court cases. Unpaid bail balances will not be updated until payments are processed by the court. If you are acting as the defendant’s surety, upon submission of an electronic bail payment, you must contact the court or prison in which the person is incarcerated in order to complete bail-related documents. If you are not acting as the defendant’s surety, it is recommended that you contact the court or prison to learn how bail refunds are handled. The State Probation/Parole Fees option allows the public to securely pay Offender Financial Obligations to the Pennsylvania Board of Probation and Parole (PBPP). This site displays only Offender Financial Obligations approved by PBPP for online payment. For questions regarding payments made on Pennsylvania Board of Probation and Parole Supervision fees, please contact your Probation/Parole Agent. PAePay and PAePay Bail payments may be made using a Visa, MasterCard, Discover, American Express, or ATM card. A non-refundable convenience fee of $2.75 will be assessed on each transaction submitted.